At first glance, with the busy Botley Road and retail parks, it's hard to imagine West Oxford as a tranquil place. A closer look reveals a 'village' in the heart of the city: from the rural idyll of Willow Walk or Binsey, to the quiet riverside of Osney and the no-through-roads off the Botley Road all ending in green spaces, West Oxford is surprisingly peaceful and child-friendly. The area around the centre features the wide open spaces of Botley Park including the old Tumbling Bay Bathing Place (still used by some intrepid souls! 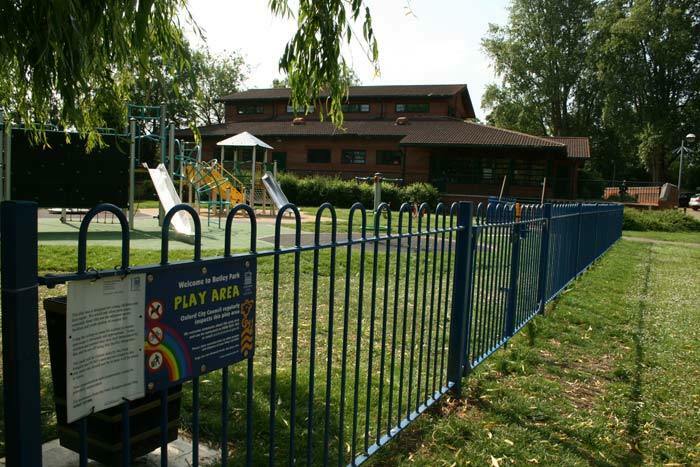 ), West Oxford Bowls Club, specially designed children's playground, multi-use games space, and 'Kingfisher Corner' wildlife area.